Destiny 2's Warmind expansion introduces a new area on Mars. Like the game's other patrol areas on Earth, Io, Nessus and Titan, the Mars map initially seems to simply be an area with some public events and some hidden chests. It's actually a lot more interesting. 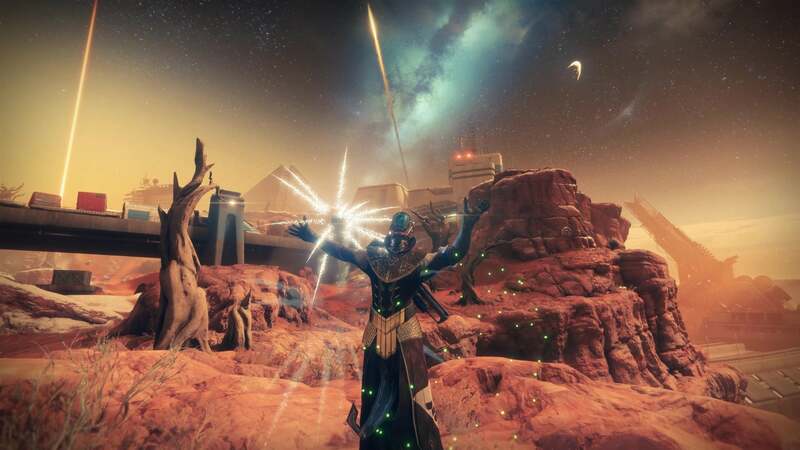 Before Warmind was the March expansion Curse of Osiris, which introduced an explorable patrol area on Mercury. That one was more or less a single circular space that housed a single public event. 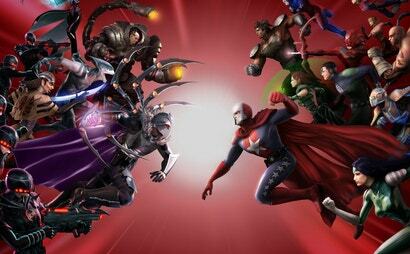 Every so often, there'd be a big throwdown that took up almost the entirety of the map. Aside from that, actually exploring the space was a bummer. It's even more of a bummer to return there after spending some time on Warmind's Mars, which gives players a large map filled with abandoned outposts, twisting cliffside roads, and hidden nooks and crannies. Mars is closer in size to the main patrol areas that launched with the game, like the sub-alpine European Dead Zone and the red forests of Nessus. 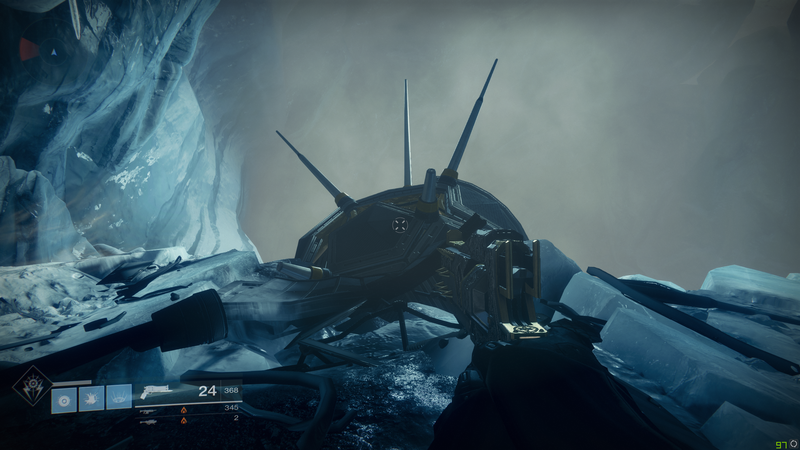 In a lot of ways it outshines those areas and is closer to the labyrinthine Dreadnaught, Oryx's hive flagship that was added to the first Destiny in the 2015's terrific Taken King expansion. 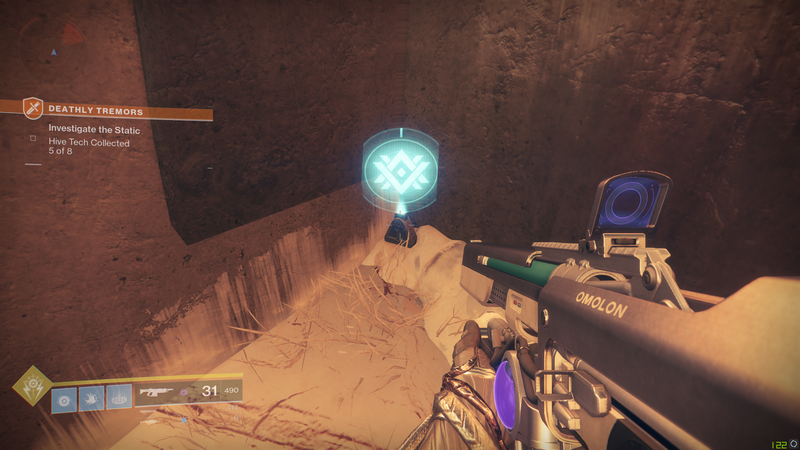 If you do a public event or loot a Lost Sector chest on Mars, you'll get the usual rewards: some glimmer, a blue item or two, maybe a purple engram if you're lucky. You'll also get a Resonate Stem, the purpose of which initially seems mysterious. ...which indicates there's something down on the ledges of the cliff-face below. I climb down and find a floating "Sleeper Node" playing music, which I can unlock using the code I created. (Rasputin, the A.I. that oversees Mars, has a well-established taste for classical music.) 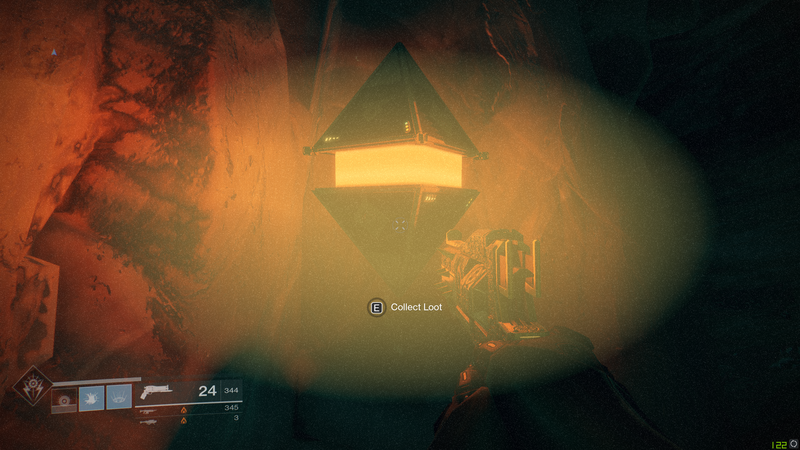 Unlocking the box will get me some loot and count toward my progress on an emblem that keeps track of how many of the 40 Sleeper Nodes I've found. It's a fun little loop on its own: play the game normally, collect Resonate Stems, make Override Frequencies, solve them using your knowledge of the Mars map, then keep an ear out for music to help you pinpoint the final location of the Sleeper Node. But it's just one layer of what's happening on Mars. I've also gotten some Rasputin Key Fragments that I can collect to turn in for something from the planetary vendor. I've been doing the quest to unlock the Sleeper Simulant laser rifle, which has me running all over Mars doing a bunch of activities. 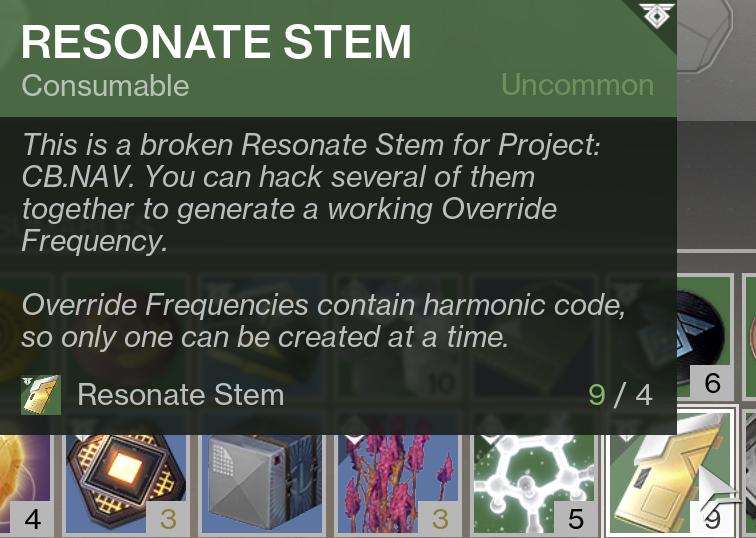 I know that one step of that quest requires unlocking 15 Sleeper Nodes, so I'm saving my Resonate Stems for that. 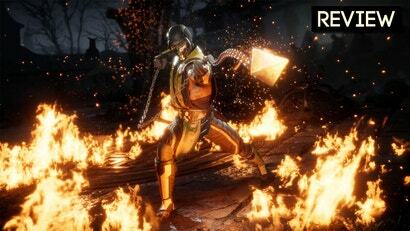 Each one is coded to arc, void, or solar, and must be destroyed with a weapon or ability that does that kind of damage. They work similarly to the calcified fragment collectables on the Dreadnaught in the first game; unlock a certain number, and you'll get an exotic weapon. What is it? What does PAVONIS mean? (Don't tell me!) 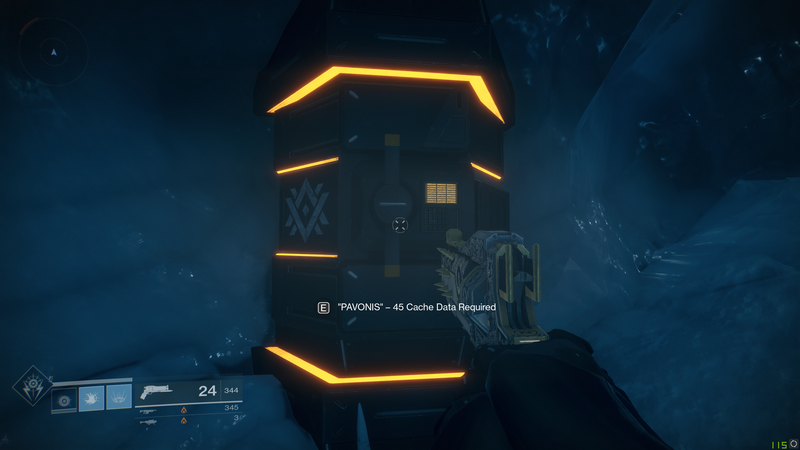 I'm assuming it will open once I've found all 45 caches, and is probably related to the exotic weapon I mentioned earlier. But I actually don't know for sure what's in there, and I'm not gonna go look it up. For now, for me, it's just one more mystery to figure out. To some people, this all probably all sounds overly complicated and not very fun. To others, like me, it's exactly the sort of thing that until now, Destiny 2 has lacked. It's really just a bunch of little collectables and bars to fill, but it makes me feel like I can just screw around in the game and make progress toward something. It's engaging in a low-level, constant way. 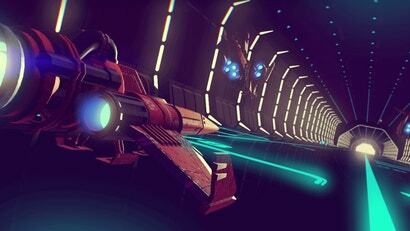 It makes the game feel noticeably less shallow. Mars is a significant improvement over the patrol zones that launched with Destiny 2 last September. It's closer to what I was expecting from the game at launch, which wound up taking a few steps back from the Dreadnaught's intricacies and secrets. The people who make Destiny have been open about wanting to undo some of the changes they made and return to what worked in the first game, and the Mars patrol zone is a confident step in that direction. Humble Bundle has the Destiny2 atm for free with the subscription. If anyone cares.